The apartment building boom came about 40 years ago. 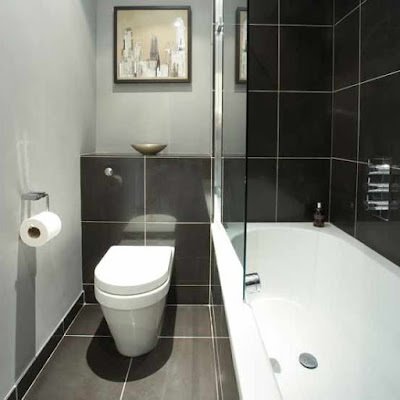 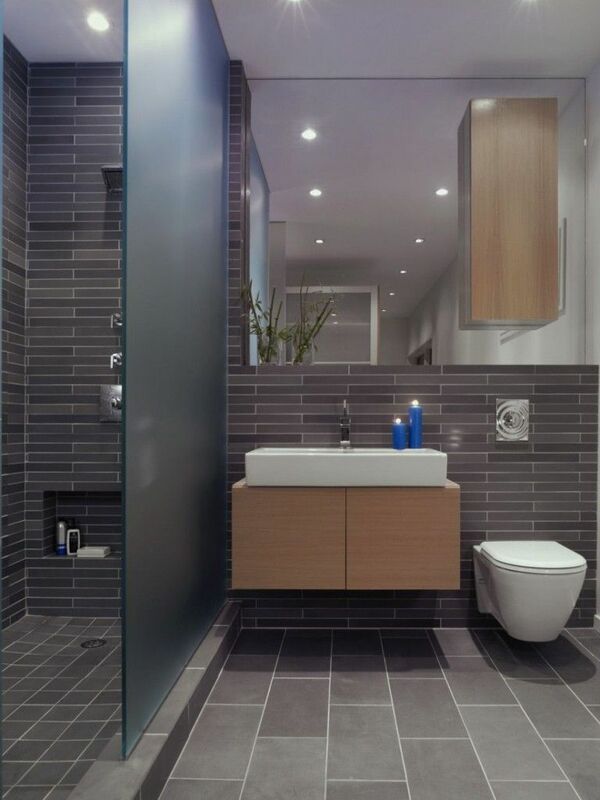 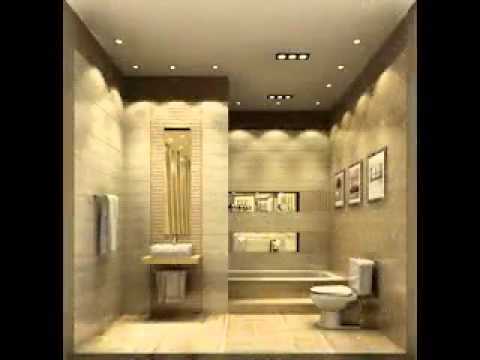 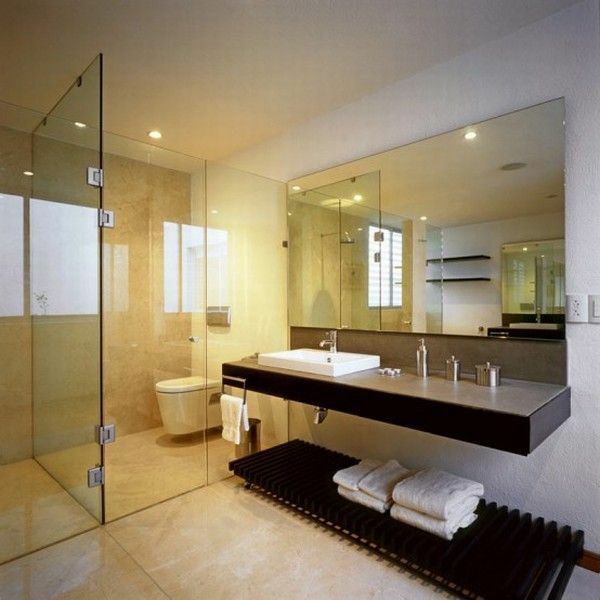 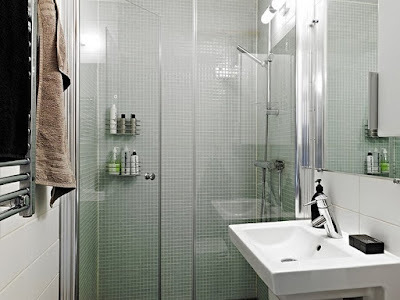 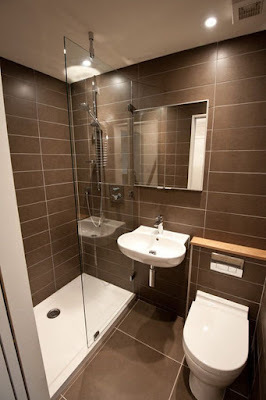 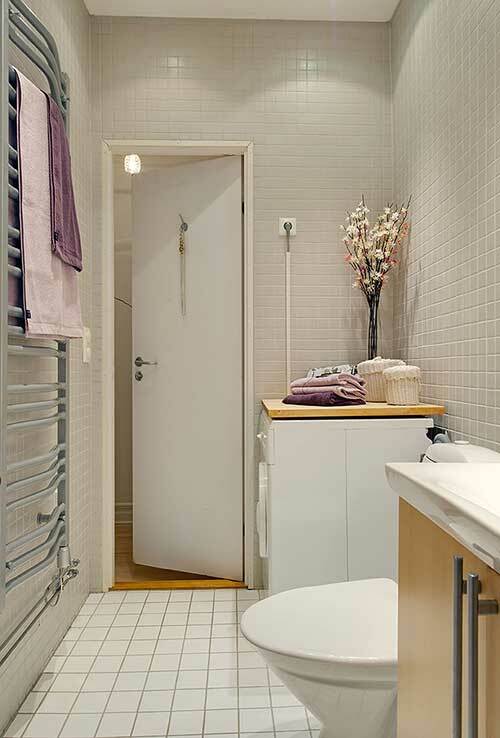 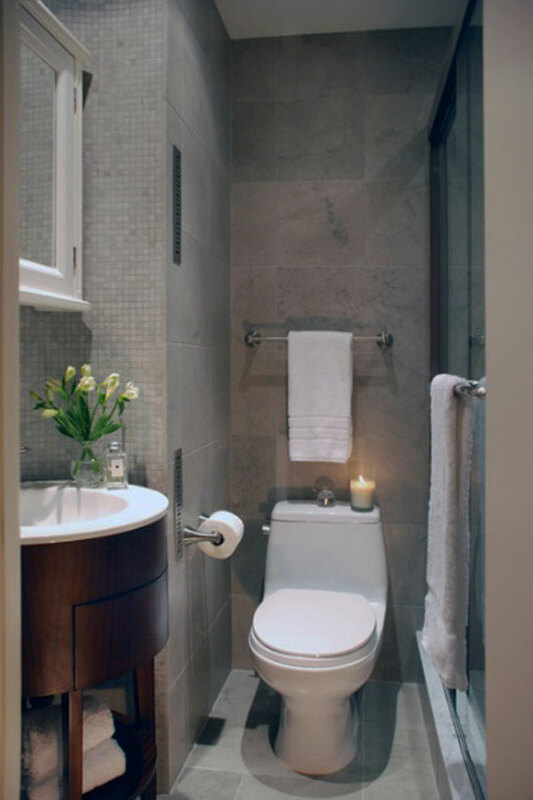 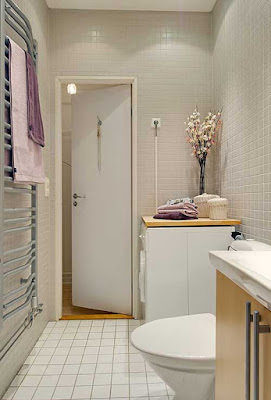 The layout was not thought out to the last detail, which is why many in the average apartment have very small bathrooms, modern small bathroom design will help to arrange this room elegantly, as well as visually expand the space through original techniques. 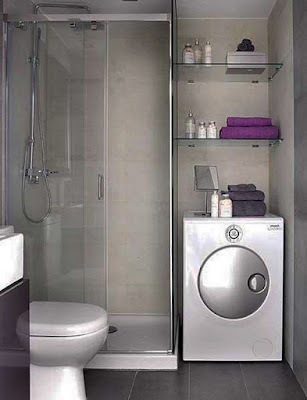 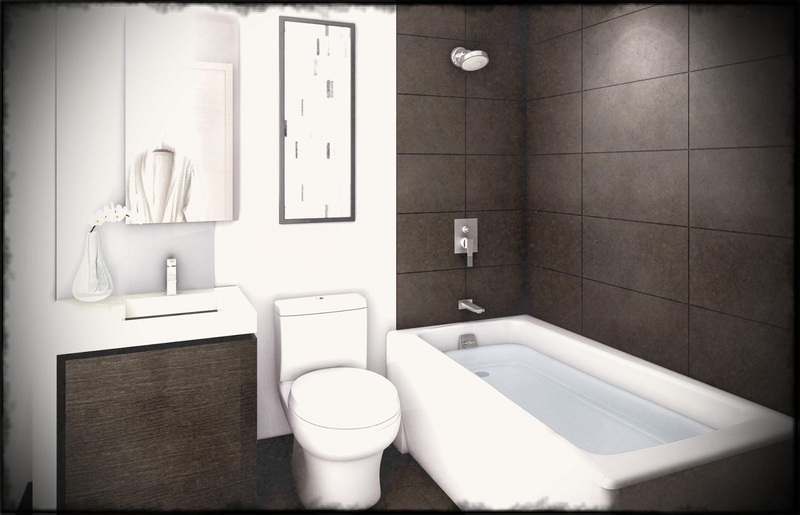 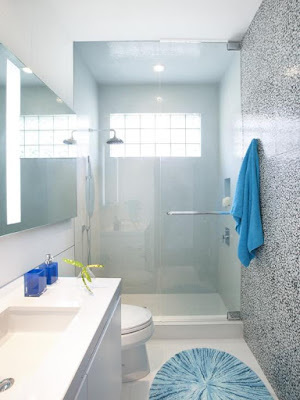 The first thing to start modern small bathroom design is the placement of plumbing and placement of a washing machine. This can be done in several ways. 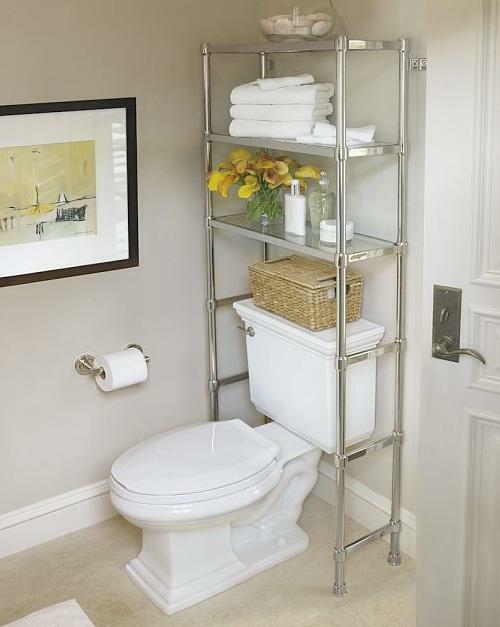 But still, even the smallest bathroom can have several options for arranging furniture and plumbing. 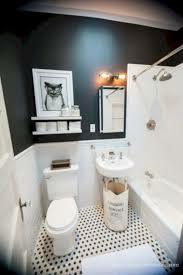 If you are willing to spend significant funds, then you can transfer communications to almost any place in the room. 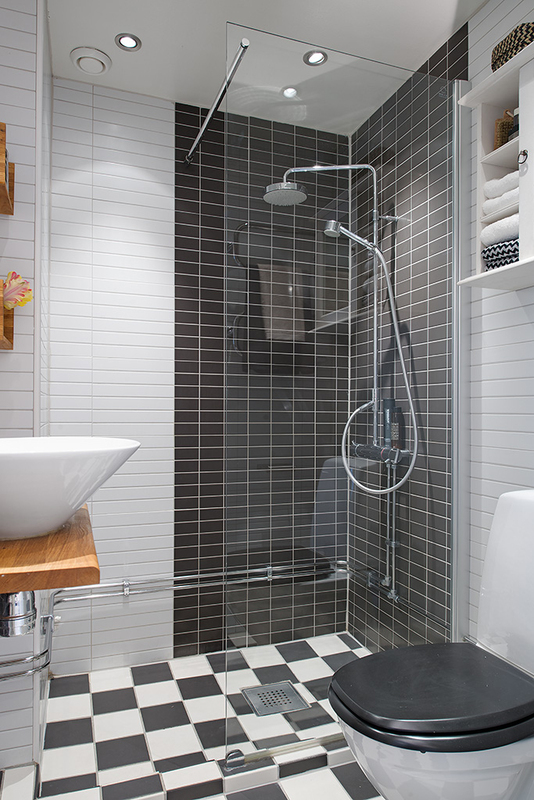 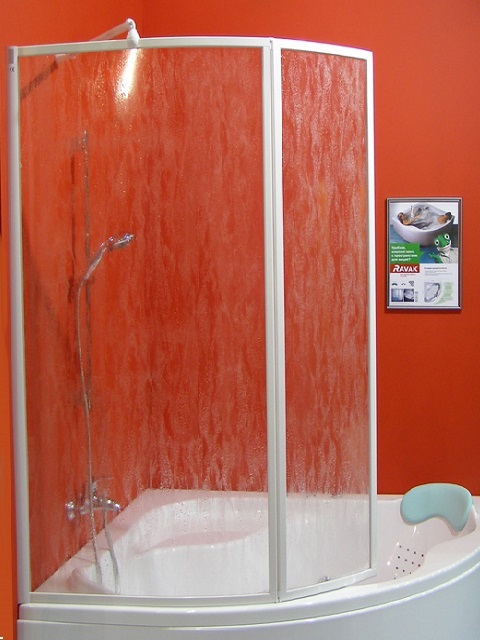 An excellent solution to increase the usable area is to replace the bathtub with a shower. Particularly compact corner models that occupy a minimum area. 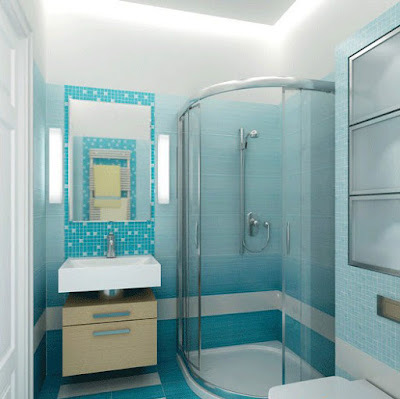 For those who cannot imagine their life without a shower, a great example of saving space is a small bathtub design ( deep shower cabin - hip bathroom - corner bathroom). 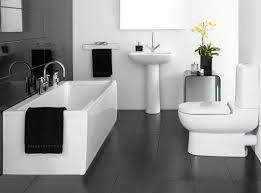 Furniture for a small bathroom should be chosen very carefully. Prefer built-in wardrobes and shelves, as they save space. 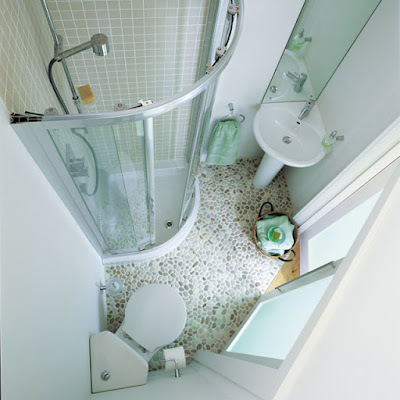 The space overhead the toilet or under the sink is rarely used. 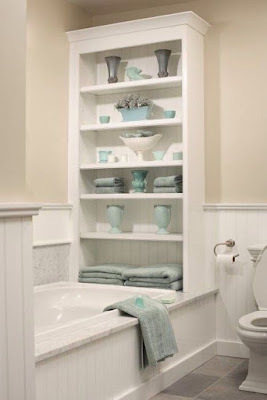 However, here you can place functional cabinets or shelves. 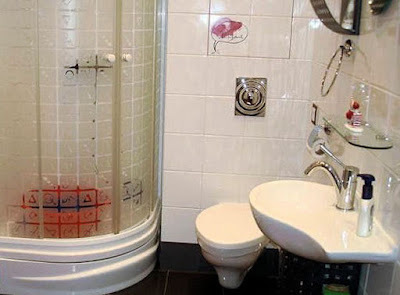 If you arrange them accordingly, they will only decorate the small-sized bathroom. Furniture set should be minimal. 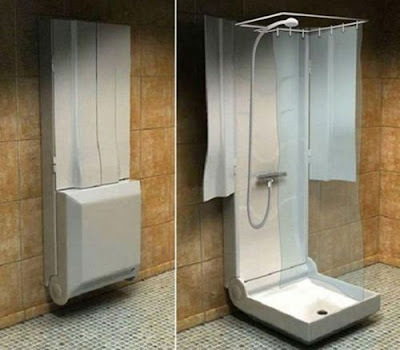 The desire of the apartment owners to place everything they need in the bathroom, including home care products, towels, and other trifles, is quite understandable. 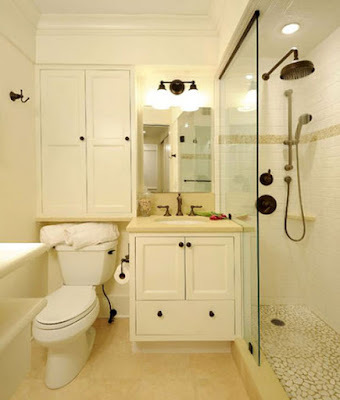 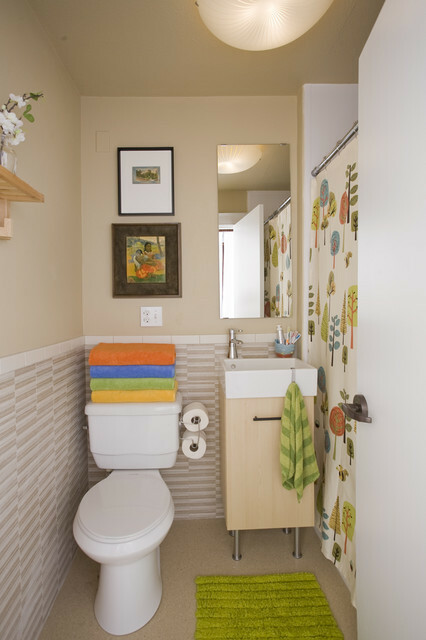 If it is impossible to do this without cluttering up space, it is better to abandon this idea, otherwise, it is possible to spoil the design of a small bathroom. 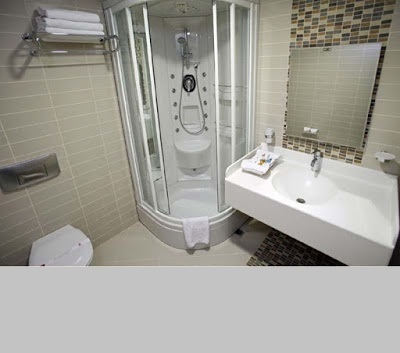 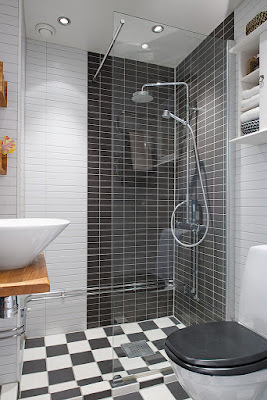 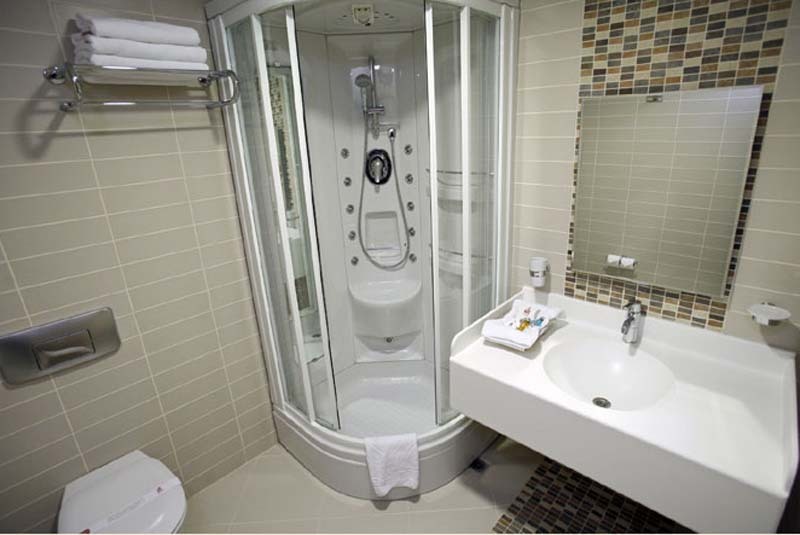 In a small bathroom shower room, where it is difficult to allocate space for a capacious bath, without a doubt it is preferable to prefer a shower cabin. 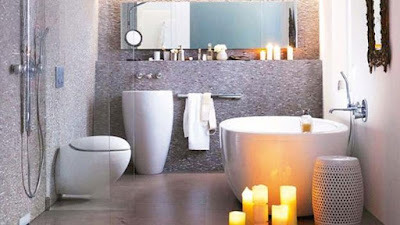 Moreover, there are models equipped with deep pans with a Jacuzzi, so that lovers of romantic bathing with candles and rose petals will not remain offended. 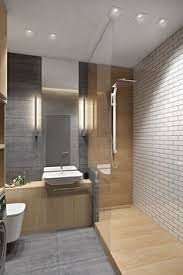 And if you still want to lie in the water in full growth, the owners of small bathrooms is better to pay attention to the angular and curved bath. 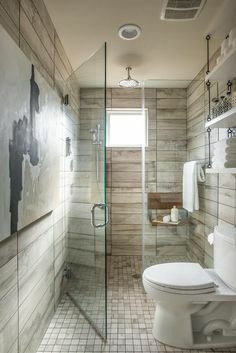 for the decoration of modern bathrooms will be used matte tile beige, brown, gray shade with the texture of wood or stone in the small bathroom wall tiles. 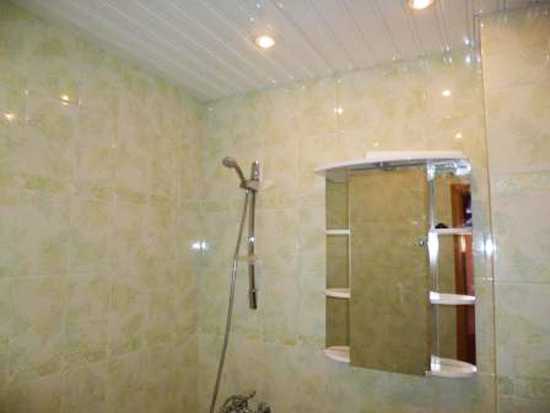 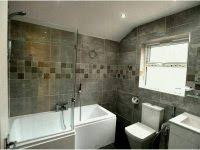 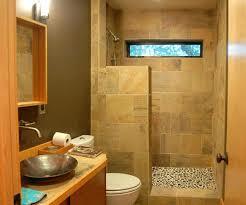 If funds allow, you can finish the bathroom with natural stone, while laying the wall tiles in the same color scheme. Solid design is very popular now. 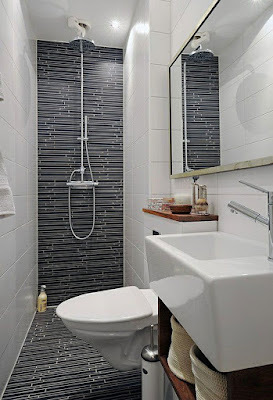 The best choice for the design of the ceiling in a small bathroom is the tile of the ceiling with a mirror effect. It is absolutely resistant to water vapor (you only need to sponge occasionally with a sponge) and will serve at least ten years without losing the original aesthetic appearance. 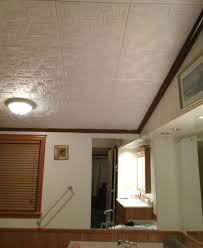 In addition, such a ceiling will help minimize the unpleasant consequences of flooding.